MnEEP produced and distributed the 2018 Academic Enrichment Guide (AEG). This online platform lists 143opportunity programs across the state. The listings offered a diversity of experiences such as STEM learning opportunities and arts programming. 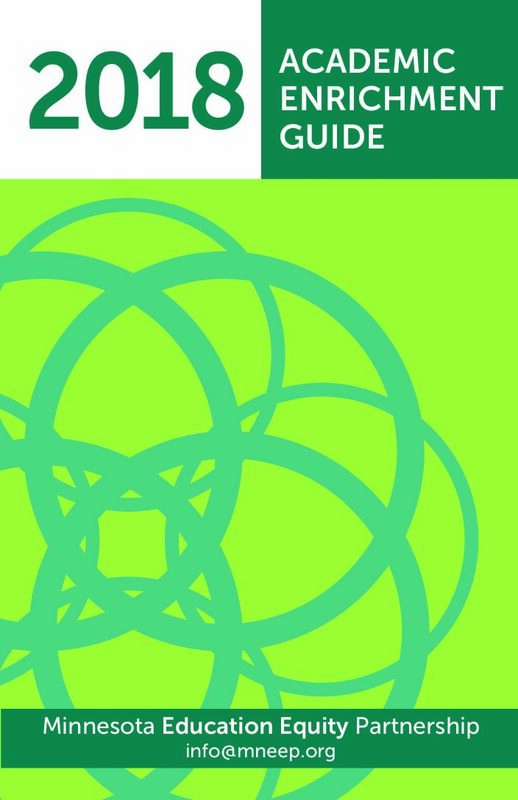 Download the latest Academic Enrichment Guide here.